Ten years ago, Sister of Charity Christine Henry started a fundraising campaign for farmers crippled by the worst drought in a century. “A lot of people had to walk off their land. It was devastating,” Sr Henry, whose country and city supporters will come together in September to acknowledge the significant work of the Sisters of Charity in supporting rural communities, said. 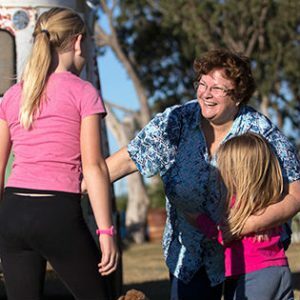 As the co-ordinator of the Downs and West Community Support, Sr Christine started serving farming communities across the Darling Downs, the Burnett, the Lockyer Valley and south-west Queensland. 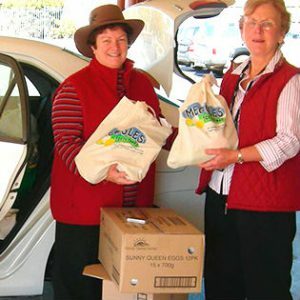 As a woman raised in the tiny Darling Downs community of Allora, she knew exactly what was needed – food hampers, petrol vouchers, and support paying household bills. Sometimes volunteers were called in to help families with household cleaning and upkeep – a backyard blitz, mini renovations, a new front gate, furniture, and even a new tyre for a tractor. By 2009, Sr Christine, a registered nurse, could see the need was so great that the Sisters of Charity service needed to continue to provide household hampers and pastoral support. To city folk, Sr Christine has become known as the “Nun in the Bush” and the list of fundraising drives, workshops, camps and programs is impressive. Sr Christine estimates she has driven a million kilometres during a decade of service through her pastoral work and visits. 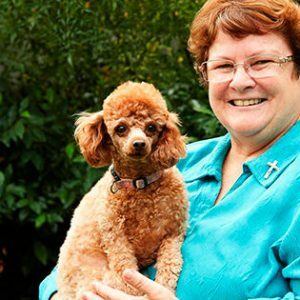 Often on her trips, Sr Christine is accompanied by a toy poodle named Kenya. “If I meet someone for the first time, they will notice Kenya before they notice me. Sr Christine, who completed her novitiate in Sydney in 1976, said she drew inspiration from the people she met – and that kept her mission alive. Sr Christine said outback Queensland was undergoing massive change. This story ‘Nun in the Bush’ helps farming communities collapsing under drought get back on their feet reprinted from The Catholic Leader with permission. Bush project: Downs and West Community Support volunteers offer a helping hand for people doing it tough in the bush. 191 primary school children from attending 4 different schools. 835 primary school children were sponsored to attend the programme.